The Vision of your organization is for the future you want to create. The Mission is how you put this into practice. 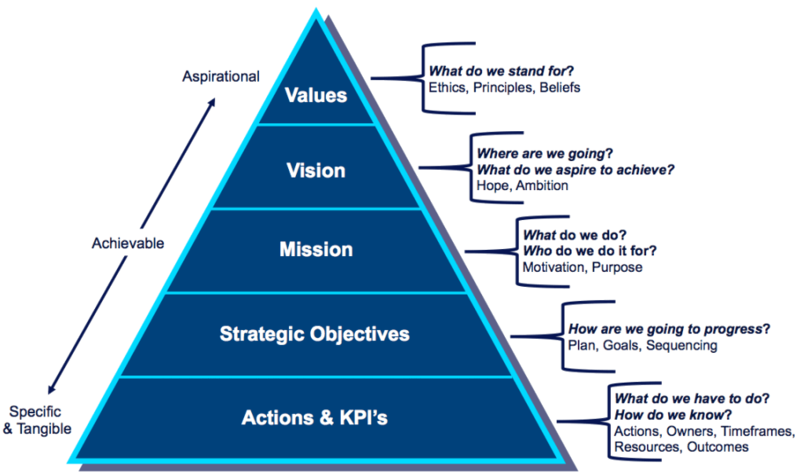 The Values, or Core Values, of your organization form the foundation on which you perform this work, the fundamental motivation for your decisions. 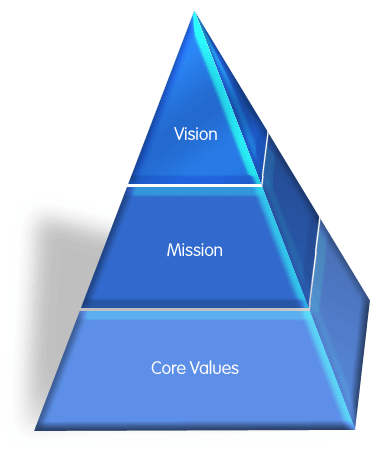 In an ever-changing world, core values are constant. A Strategy is a set of decisions to reach short- to mid-term goals. A strategy is put into practice by splitting it up into specific Actions or Tasks to be carried out. Values are the common ground for all your decisions.